Juventus are planning a move for Juan Bernat. The reports in Italy suggested that Juventus are linked with a move for Bayern Munich left-back Juan Bernat. The 25-year-old has been subject to interest from various European clubs. The Spain international was signed by Bayern Munich in July 2014 from Valencia for a fee of 10 million euros. The 25-year-old has a contract until 2019 with the club. 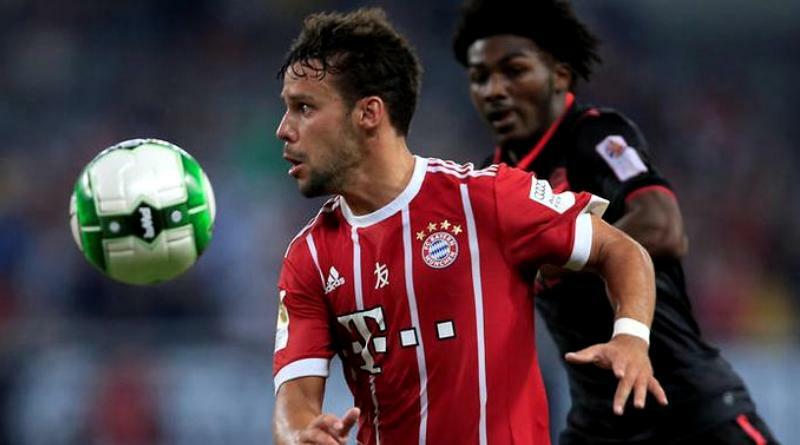 Bernat has played 109 times for Bayern Munich since signing from Valencia, scoring five goals and creating eight assists in that time. The 25-year-old is considered to be one of the best left-back s in Spain. Juan Bernat has represented Spain at Under-17, Under-19, Under-20 and Under-21 level, winning 29 caps and scoring five goals, before making his senior international debut in October 2014. As a member of Spain national football team, Bernat won 7 caps and he scored one goal. The 25-year-old is one of the more likely players to be offloaded by Bayern Munich this summer and the list of suitors in the Spain international continues to grow. Juventus are in the market for a new left-back when the transfer window reopens. Bayern Munich are preparing to sell their left-back should they receive a right offer for him. Juan Bernat is also being watched by Everton. A move away from Bayern will not be only the best move for Bernat, but also for the club. How strong that interest is and whether Juventus will make a move remains to be seen but it is certainly one worth keeping an eye on.